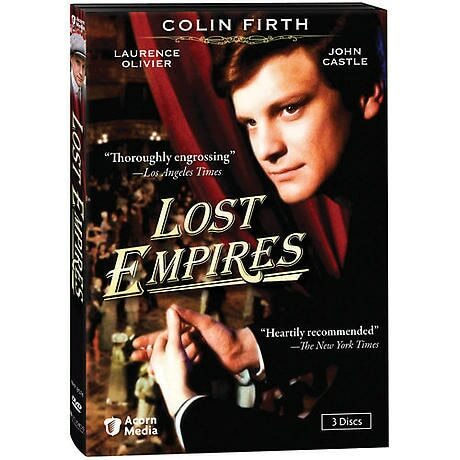 When an orphaned 18-year-old (a young Colin Firth) joins his hard-nosed Uncle Nick (John Castle) on England's pre-WWI vaudeville circuit, he finds himself among magicians, dwarves, torch singers, suffragettes, and a sad-sack comedian (Sir Lawrence Olivier in one of his final performances). 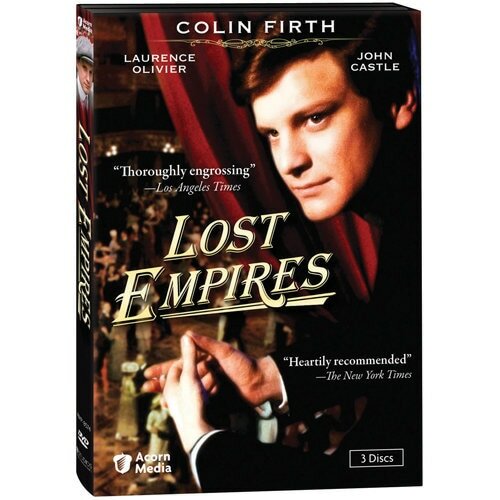 Based on the nostalgic novel by J.B. Priestley, seen on Masterpiece Theatre in 1987, this famous miniseries captures a time when all the world was an English stage. 7 episodes, 6¾ hrs, 3 DVDs, SDH. Mature audiences. New arrival Richard makes an immediate impact on the other members of the act, especially the women. Hired as a stage assistant, he soon begins performing roles. But just as Richard embraces the limelight, one of his colleagues decides he can't take it anymore. Uncle Nick's conjuring skills are put to the test when an on-the-run suffragette leader asks for his help--to make her disappear before the police can arrest her. Much to Richard's distress, an attractive young singer named Nancy Ellis plans to vanish as well. Richard turns his attentions to another woman in the act--or rather, she turns her attentions to him. An older woman with a mysterious past, Julie Blane displays more than a few warning signs. Richard has to decide whether or not to heed them. With the help of an ex-heavyweight boxer, Tommy Beamish exacts his revenge on Julie. The incident prompts Uncle Nick to come to the aid of his nephew and Julie to react unexpectedly. Richard gets mixed up with a volatile young singer and her entourage. At first, the woman simply requests that Richard sketch her portrait. But soon, he unwittingly enters a new, darker side of theatre life. The troupe gets a shock when one of their acrobats is found strangled. The local police feel unable to handle the case, and Scotland Yard sends an inspector to investigate. Meanwhile, Richard makes a desperate attempt to reconnect with Nancy Ellis. The police close in on a murder suspect, but Uncle Nick has one last trick up his sleeve before he strikes out for America. As war breaks out, Richard enlists in the army and heads off to the Western Front, where he runs into a surprising figure from his past.